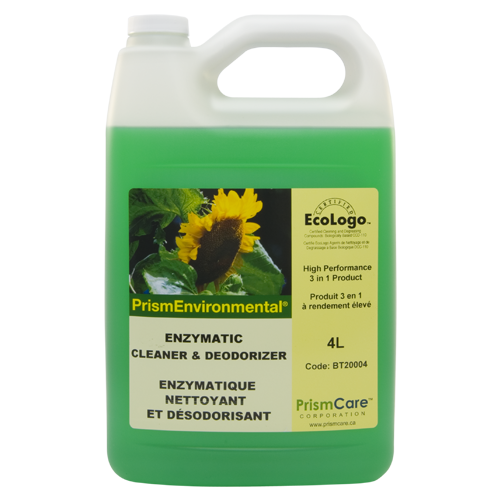 PrismEnvironmental® Enzymatic Cleaner & Deodorizer is an environmentally responsible, concentrated, 3-in-1 product that cleans and eliminates unwanted odours, and freshens the air in one easy step. This is the product of choice for daily cleaning and deodorizing of toilet bowls, urinals, sinks, countertops, floors, garbage containers, carpets, etc. Copyright © 2014–2019 Prism Care Corporation.